Practice the questions given in the worksheet on multiplication table of 7. 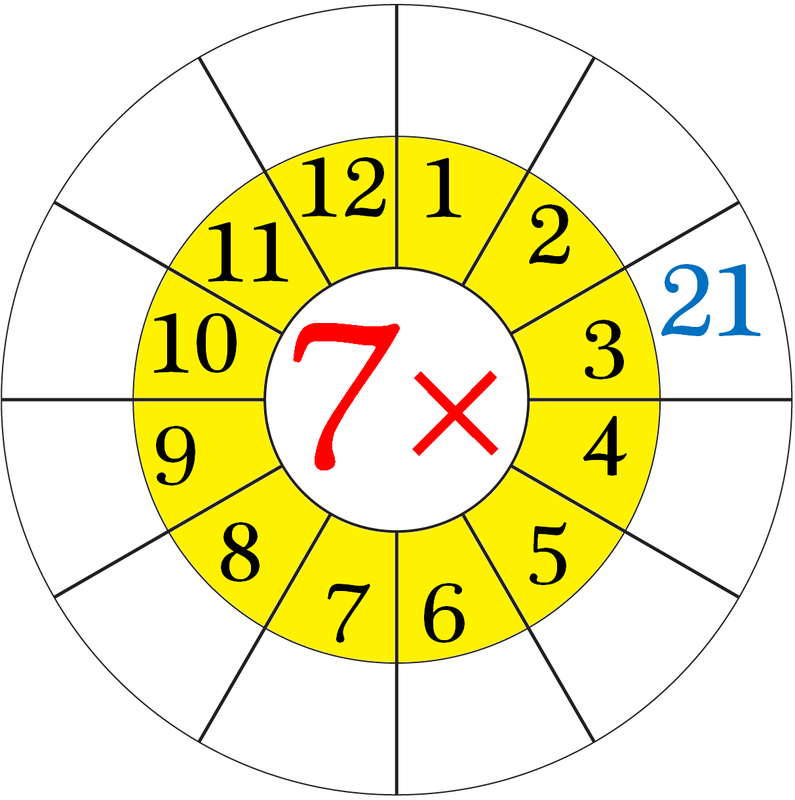 The questions are based on finding the product using the multiplication table of 7. 1. Count forward by 7’s from 7 to 140. 2. Count backwards by 7’s from 140 to 7. 4. Find each product using above multiplication table of 7. 5. 7 days in a week. How many days in 9 weeks? 6. 7 flowers in one bunch. How many flowers in 6 such bunches? 9. (i) What are 7 eights? (v) What are 4 times 7? 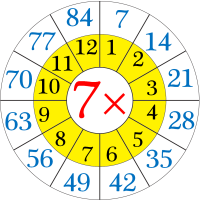 (ix) What is 8 multiplied by 7? (x) 7 multiplied by 11? 10. What does 7 × 9 mean? What number is it equal to? 11. A Regular Septagon has Seven Sides. How many sides do 5 Septagons have? 12. Mary has 7 glasses. She puts 7 straws in each glass. How many straws are there in all? 13. (i) How many sevens in 56? (ii) How many sevens in 35? (iii) How many sevens in 70? Answers for the worksheet on multiplication table of 7 are given below to check the answers of the above multiplications. 1. 7, 14, 21, 28, 35, 42, 49, 56, 63, 70, 77, 84, 91, 98, 105, 112, 119, 126, 133, 140. 2. 140, 133, 126, 119, 112, 105, 98, 91, 84, 77, 70, 63, 56, 49, 42, 35, 28, 21, 14, 7. 10. 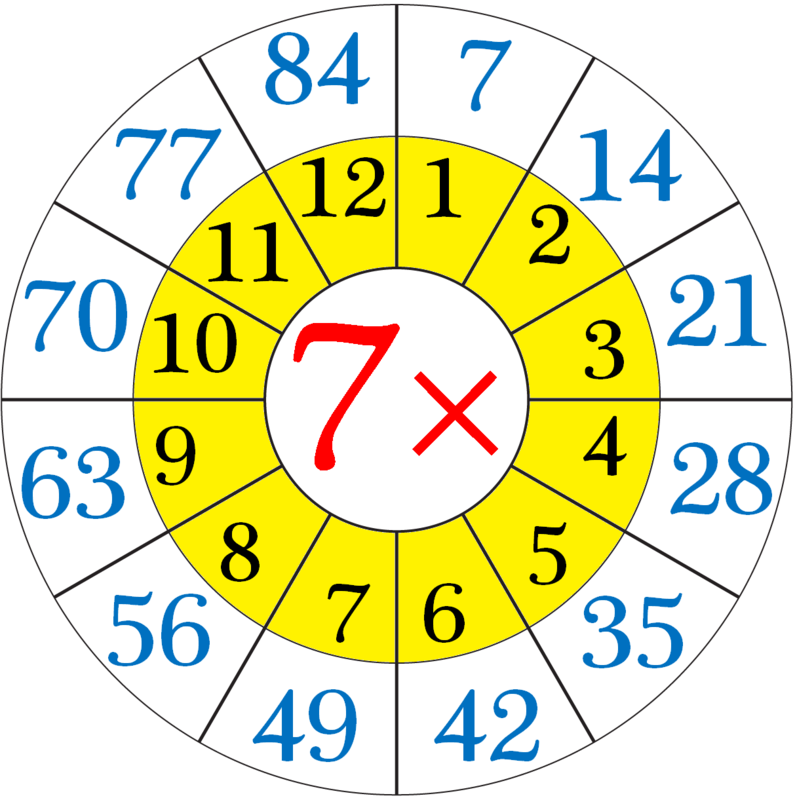 7 × 9 means that the 7 and the 9 are multiplied together or ‘seven nine’ or ‘Seven times nine’.